Rated PG-13 for intense action violence and some language. There is not one universe, but there are many, which is a multiverse. Supposing you are just one person, there are many other versions of you in the other universes, there are ways to travel, but only a police agency,MVA, can travel only for police procedures. 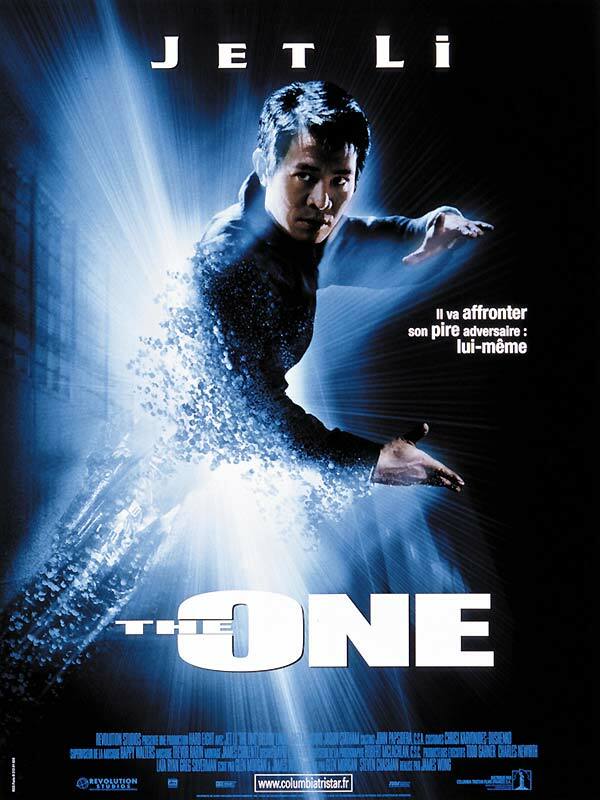 Gabriel Yulaw (Jet Li)is a former MVA agent, who killed another version of himself in self-defense. It made the other versions of him stronger. When Yulaw found out about this, he became power-hungry killing the 122 other versions for two years. After killing Lawless (also played by Jet)and getting captured by his former partner Roedecker (Delroy Lindo) and a new MVA agent Funsch (Jason Statham) Yulaw managed to escape the prison and is trying to kill his last target, Gabe Law (also played by Jet) who is a police officer. He is also at Yulaw's strength. Roedecker and Funsch now have to arrest Yulaw before he can kill Gabe. There is a possibility that the universe could die or make Yulaw invinible. After encountering Yulaw for the first time, Gabe thought that it was his split personality, but it wasn't. Will Gabe be able to confront Yulaw before or after Yulaw ruins his life? Jet Li:Feet of Fury A high concept film that offers the possibility of the existence of a number of parallel universes wherein a person actually exists in each as an individual entity, yet is linked to the others by a life force that enables one to draw power and strength from another, `The One,' directed by James Wong, is ultimately a showcase for the martial arts prowess of Jet Li.Li plays the dual role of Yulaw, a former policeman of the `Multiverse,' who at some point happened onto the fact that if his own counterpart in one universe dies, his strength is increased, and Gabriel, a member of the L.A.P.D., who knows nothing of the existence of Yulaw or the parallel universes until he finds himself suddenly and inexplicably being hunted down by an unknown predator.Gabriel, it seems, is the last of Yulaw's counterparts, and he has thus far disposed of one hundred, twenty-three others already.And, if the theory of the Multiverse proves to be true, with Gabriel's demise Yulaw will become a kind of god, invincible and unstoppable.But there is another theory that states that if such a thing in fact occurs, it will mean the destruction of the universe in which it transpires.So there is a lot on the line, with only two policemen from the Multiverse, Roedecker (Delroy Lindo) and Funsch (Jason Statham) on Yulaw's trail, hoping to stop him before it's too late. 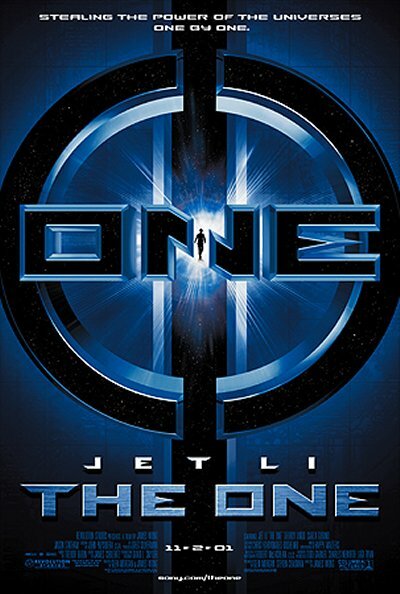 Wong has crafted a clever and fast-paced, action-packed adventure in which his star, Li, proves more than capable of maintaining the excitement, especially in the scenes in which he squares off with himself (with a nod of thanks to the F/X wizards-at-large).In this case, more is better, and `two' Li's equals twice the action, which is the name of the game in this movie.But though the action is plentiful-- and extremely well done and choreographed-- the story, even with it's interesting premise, never seems to be fully realized, or at least not up to it's potential.And the action is good, but it lacks the nuance and finesse of films like John Woo's `The Killer' or `Hard Boiled,' and also the poetry that worked so well and enhanced the story of Ang Lee's `Crouching Tiger, Hidden Dragon. 'Still, with this film Wong moves very close to finding himself in the company of those great directors. Jet Li has made a number of films, and certainly demonstrates here that he has that `star' quality, but though he has the looks and the moves, he does not possess the charismatic screen presence of a Jackie Chan or a Bruce Lee, and as an actor he has some definite room for improvement.He does put on a good show, however, and when the fight is on, he is riveting to watch, and after all, that was the intent of making this film in the first place.And in that respect, it certainly succeeds. On the acting front, Carla Gugino gives a solid performance as T.K., Gabriel's wife, and though her supporting role is little more than a diversion between the action sequences, she is a welcome presence to the proceedings and makes the most of the screen time she is allotted.Most importantly, she makes T.K. believable, which adds some needed strength and emotional involvement to the story. Lindo does a good job, as well, but his character, Roedecker, lacks the development that would've made him a more integral part of the story.The same can be said of Statham, also, and Funsch seems to be little more than a means by which to move the story along.Not a bad device, but it adds so much more to a film when the characters involved have some real life of their own in them. 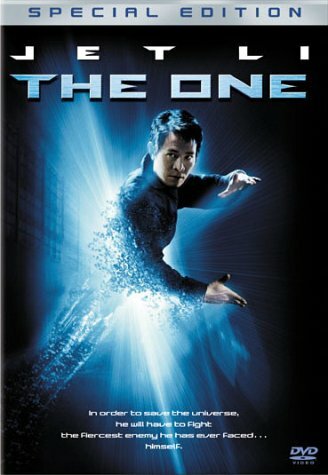 The supporting cast includes Brandon Molale (Stygian Prisoner), Scott L. Schwartz (Prisoner) and Kim McKamy (Doctor).A film that seems to fly by as fast as Jet Li's feet and fists, `The One' is definitely an exciting experience and makes for some satisfying entertainment.It's a what-you-see-is-what-you-get kind of a movie, and the chances are pretty good that you're going to get exactly what you expected going in.For fans of Jet Li and the martial arts, it's going to be an especially thrilling ride, and for everyone else it's going to at least get the adrenaline flowing and the heart pumping a little faster for an hour-and-a-half or so, guaranteed.It's the magic of the movies.I rate this one 6/10.